While walkers and joggers face risks when walking or running alongside vehicles in the street, it is the responsibility of drivers to be cautious and attentive. If a driver is talking on a cellphone or is otherwise negligent, serious pedestrian accidents can occur. 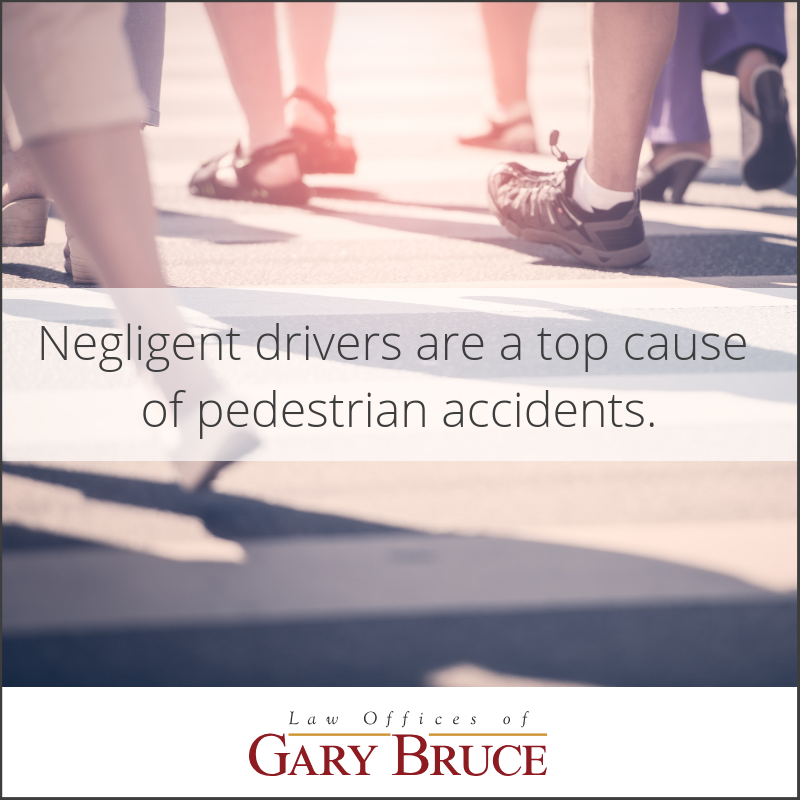 Our attorneys at the Law Offices of Gary Bruce offer experienced and compassionate guidance to pedestrian accident victims and their families. When you are attempting to recover the compensation you need from the insurance company, rest easy knowing that we are the good guys. We will advocate for your rights and ensure you are not taken advantage of. Call 706-596-1446 to arrange your free initial consultation. Our ability to analyze the whole picture and all available avenues of liability enables us to recover the maximum compensation to which clients are entitled. Often, pedestrian accidents involve a drunk driver, reckless driver or otherwise negligent driver who hits the pedestrian and flees the scene of the accident. If the police cannot determine the driver, the driver's insurance policy is also unavailable for seeking financial recovery. It is important to understand that you still have options to recover the compensation you need. What Can You Do If You Are Injured in a Hit-and-Run Accident? If you or a loved one is involved in a hit-and-run pedestrian accident, you may be capable of recovering compensation through your own uninsured motorist (UM) policy or through the policy of a family member or household member. Our attorneys will carefully review all applicable insurance policies to determine what coverage is available. At the Law Offices of Gary Bruce, we are dedicated to providing personal service to each client. We offer complimentary in-office and off-site case evaluations to accommodate your needs. Call 706-596-1446 today to get started on your case. The Law Offices of Gary Bruce is located across from the Government Center in downtown Columbus, Georgia. Weekend and evening appointments can be scheduled upon request.